Having only 8 episodes airing, the popularity Go! Princess Precure gained is seemingly surprising. I have seen numerous princess pictures spreading across my dashboard which made me grab a seat and watch it. It is worth watching! After tons of researching, I learned that it is a magical girl series produced by Toei Animation and the twelfth installment in Izumi Todo's Pretty Cure franchise. 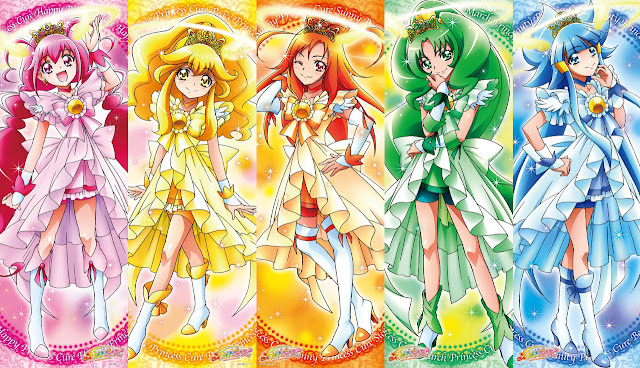 Pretty Cure is the main term used in the series to describe a group of girls who can transform into legendary warriors. The term was initially used as the main title for the first season, but is also included in the title of every subsequent season, each with its own theme variation. In each season, there is a legend of warriors who will come to aid the world when it is in need, and stop an invasion of darkness. So basically, it is all about friendships, battles, andprincesses. I’ve seen tumblr girls pick and post their fave Go! Princess PreCure favorite lead Cure. Mine is Haruka, so far. She has a big dream and, although she’s clumsy and rash, she’s not afraid of working hard to achieve it. Maybe it’s just me, but she seems more dedicated (meaning, she actually does something to achieve her dream) than most MG protagonists in general. I was surprised how well I could relate to her, despite being very different from her. I think it might be how determined she is to reach her dream, even if she felt embarrassed telling others about them. It gives me courage that one day I can be upfront about all of my nerdy passion, even if people look at me weird and awkward. I could tell that the Pretty Cure series is a big thing for otaku girls around the world. It has hooked hearts because of its lightheartedness. Also, thanks to Yuta Tanaka for having awesome spin-offs in which all the characters from each season are placed together in the same universe. FYI, those are what tumblr girls are always waiting for! Even though the Go! 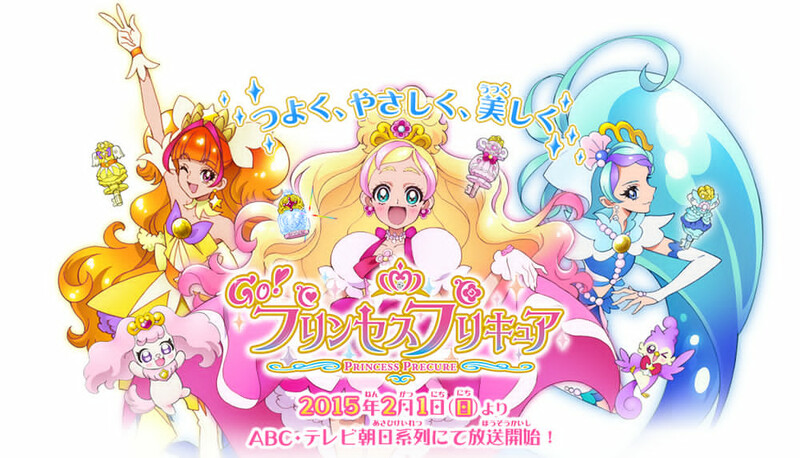 Princess Pretty Cure has finished, I would still wait for the 13th installment of the Pretty Cure franchise, which we know will offer us a new world, new battles and another rollercoaster-like adventure with the cures. Chances are big, since the series is very flexible and known for its subsequently changing yet has a good progression plot. However, the main characters of Go! 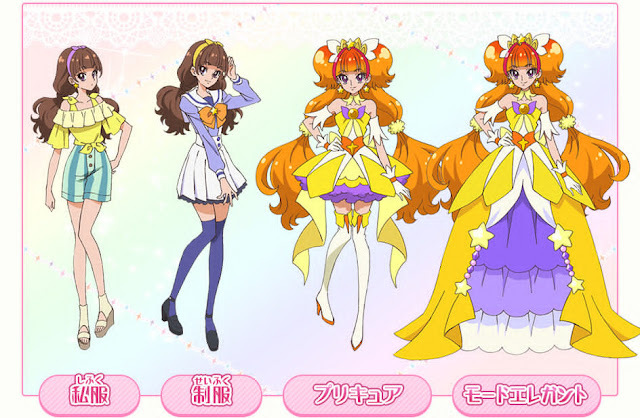 Princess Pre Cure will appear in the movie Pre Cure All Stars: Spring Carnival.